Generally speaking, while [all things] are of unending diversity, each one of them returns to its [common] root. [Their] reverting to [their] roots means stillness. The ‘root’ is the beginning. [That is], each one of them relates back to that which began it. Once they revert to [their] roots, then they [reach] stillness. 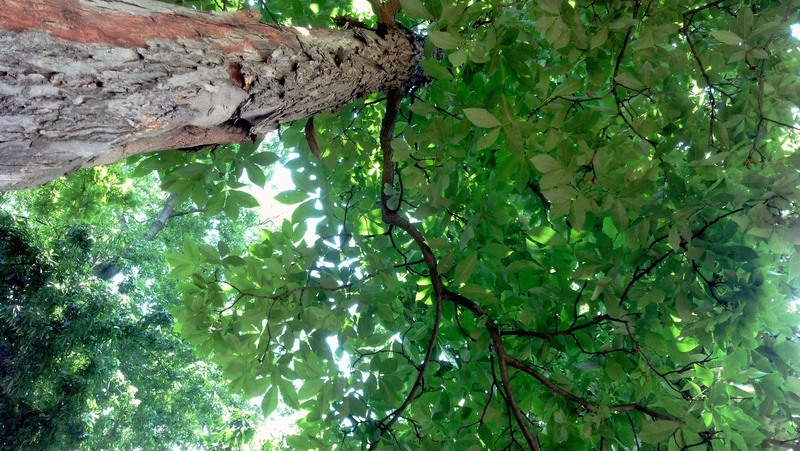 This reading brings to mind this picture I took from the roots of a big tree, looking up at its branches. Many of the experiments being run in the Large Hadron Collider seek to answer these questions by investigating (and attempting to replicate) conditions as they existed shortly after the Big Bang (the mother of all roots). Two and a half millennia later, we still seek to emulating the root.